I think I’m going to have to retire Deep-Fry Fridays. Not because these zucchini sticks were horrible – they were quite good – but because I’m so over deep-frying, especially in the summer. 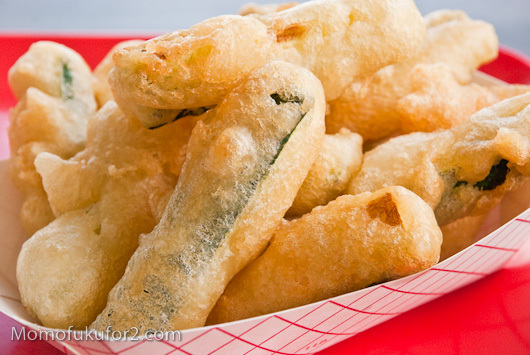 Zucchini sticks happen to be a great vegetable to deep-fry. They always remind me of an old co-worker who used to be simultaneously obsessed with them and with being healthy. To satisfy his craving, he’d call in an order a take-out order for zoosticks, rush over to pick them up and insist that I eat half of them all on our short 30 minute lunch break. 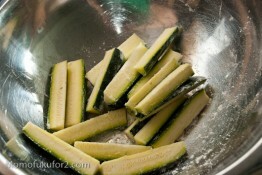 He didn’t have to insist much, I love crispy batter and soft melty zucchini insides. With this home version, beer added to the batter makes for an extra light-cripsy-crunchy coating. When dipped into a sriracha lime mayonnaise, these sticks make for some good snacking! Heat up your oil in a deep-sided pot over medium-high heat until it reaches 375˚F. Gently toss your zucchini sticks in the 1 tablespoon of flour (this helps the batter stick). 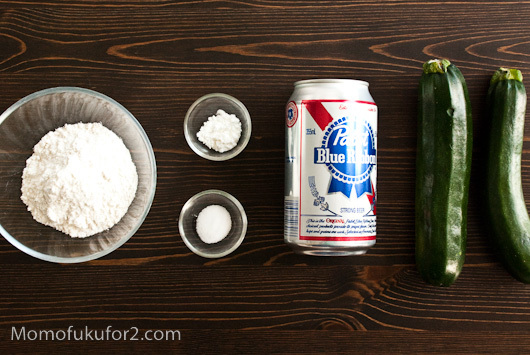 Make the batter by mixing the dry ingredients then add the beer. Mix gently. You don’t need to get all the lumps out. Dip your zucchini stick in the batter, deep-fry until golden brown and drain on paper towels. Enjoy hot with the sriracha-lime mayonnaise. Mix all the ingredients up and enjoy! Yeah, with hot weather fried food seems a bit heavy. The sriracha sauce is a nice touch though. 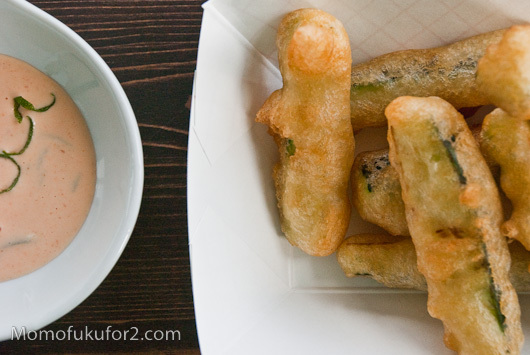 Her batter is more like Tempura which is nice and light.. so its not going to be heavy like most fried food… they would go great with a fish taco or something like that I think. 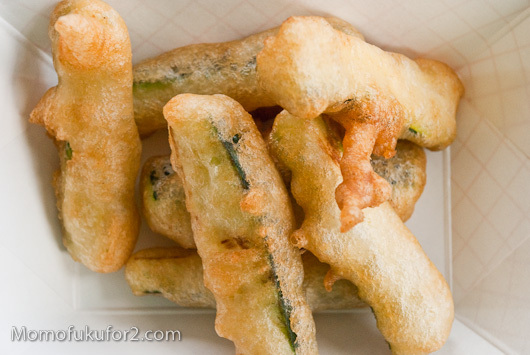 The deep fry zucchini looks really good. and do love the sriracha sauce. But I try to refrain from deep frying anytime of the year! would it not be more sensible to post comments AFTER you have tried the recipe???? It was very good. I tried them.. and even the day after putting them in the oven was great and crispy. I am sure glad I found this recipe . We will definitely use this again. The batter is light and fried up (we used olive oil) real crisp. Wuldn’t it be good of you to quit judging people? Just found this recipe and made the first batch, great! After dipping them in the batter I dipped them in garlic breadcrumbs and it tastes so good.